TREO Engineering has been making the ground shake and trunks rattle since 1999. 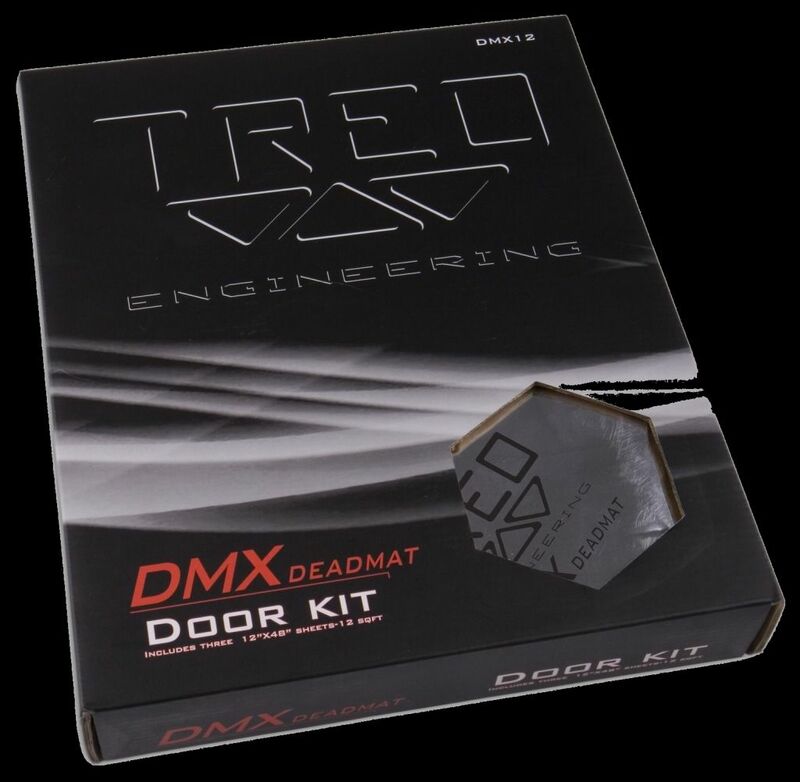 After a decade of creating vibration and havoc TREO Engineering is happy to announce the release of TREO Deadmat DMX Sound Deadening Material. Deadmat DMX Sound Deadening Material is made of a non-curing elastomeric butyl rubber material with an aluminum layer that rejects heat and protects the butyl rubber material from UV rays and chemicals. 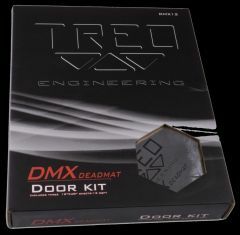 TREO Deadmat DMX has a peel-and-stick adhesive backing that adheres to almost any painted or unpainted clean, hard surface. TREO DMX is pre-cut into one foot by four feet sections for easy installation in any motor vehicle. TREO DMX can be applied at room temperature or it can be heated for maximum material flexibility and adhesion. TREO DMX can also be used in non-automotive applications such as home theater or any situation where sound and vibration must be attenuated.